On a small island in the middle of the Baltic Sea, down a long dirt road hidden by stumped trees and blocked by meandering black sheep, in a dark ranch house tucked into the gentle slope of a craggy seaside, behind the door of an austere study, we find hand-inked, haphazard symbols of a love affair. Liv and Ingmar were here. Opposite the door is Bergman's desk, which means that when he sat to write, every day for the following 38 years, he gazed upon this bittersweet record of a lost love. Even though Bergman was something of an artistic exhibitionist—he routinely based harrowing scenes in films such as Scenes From a Marriage and Fanny and Alexander on traumatic episodes from his own life—and though he's no longer around to resent the half-dozen journalists prowling around his secluded Hammars homestead on Fårö Island, looking at this door feels like an invasion of privacy. The young tour guide motions toward the makeshift hieroglyphs but is struck bashful before them. They don't quite belong to a Great Man Tour, but they do belong to the man. The scene calls to mind the early museum days of Graceland, when Elvis's dear old aunt Delta still lived upstairs, shattering notions of hero worship whenever she pushed past tourists to fetch a gallon of milk. Hammars has been open to select, private tours for the past year, but there's no danger of it ever becoming a well-trammeled mecca. It's too remote, for starters—a flight, drive, and ferry ride from Stockholm. Ullmann once described Fårö, not inaccurately, as "halfway between Sweden and Russia." And Bergman's reputation and work is too rarefied for mass worship, despite spirited efforts at making him posthumously approachable. A small but invaluable step in that direction is Bergman Week (Bergmanvecken), which is what brings me, and the other journalists, to the island. 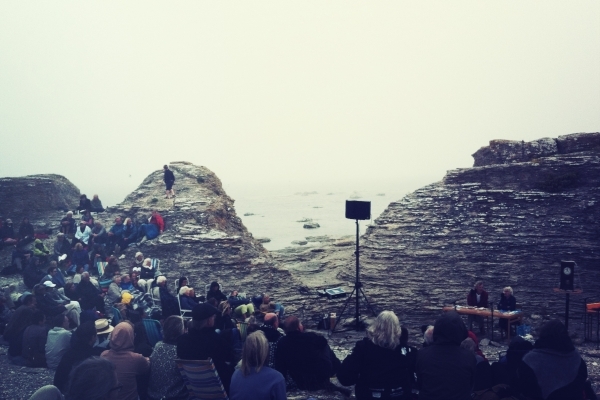 An eight-year-old celebration of the legacy of Sweden's greatest filmmaker and his half-century-long relationship with Fårö, Bergman Week consists of screenings, lectures, and site-specific events. It's less a film festival than an Ingmar-themed conference, emphasizing the artist's legacy over his filmography. Attendance at this year's edition is at an all-time high—3,100 tickets sold—causing actual traffic on an island that has a year-round population of 600. Scanning the charming converted barnyards and schoolhouses that double as event venues, I spy a smattering of academics, students, and fanatics among the locals. One gentleman sports a tattoo of Bergman's likeness on his left shoulder, with "Persona" and "Stalker"—the latter in Cyrillic—on each forearm. But there's little in the way of press, which explains why a small group of us have been invited to this remote paradise, to sample Bergman Week and, more importantly, discover the Fårö of Ingmar's life and mind. I could not remember having seen a place so barren. Like a relic from the Stone Age....The house was located far away from the sandy beach of summer, the site was all stone and dry earth. No one on the island could understand the man who had bought so much infertile land. Only a handful of Bergman films are screened during Bergman Week, and each is given extra-filmic context. Crisis prompted a discussion of actress Inga Landgre; The Silence was preceded by a lecture on body language in the Bergman oeuvre; Face to Face was accompanied by a talk on psychosis; and Persona rightfully stood as Bergman's Fårö-set masterwork (sadly for international guests, certain prints and discussions were in Swedish only). For the remainder of the modest slate, programmers from the Gotenborg Film Festival present a night of Swedish shorts, ostensible fellow travelers Andrei Zvyagintsev and Istvan Szabo screen their best-known works, and faint echoes of Bergmanesque preoccupations justify the inclusion of crowd-pleasers Blue Valentine and Melancholia, the latter accompanied by a meandering master class by DP Manuel Alberto Claro. I'm glad for the events, but the conceit of Bergman Week is that Fårö offers an incomparable entryway into Bergman's life and art. To make that claim in a literal sense, there's a lovingly curated exhibit at the modest Bergman Center tracking the director's "Filmic Landscape," as well as a "Bergman Safari," a bus tour of locations from Persona, Shame, and others. Over the course of the epic tour, which ends with lamb burgers and beer at sunset, offhand production details take on mythical significance. 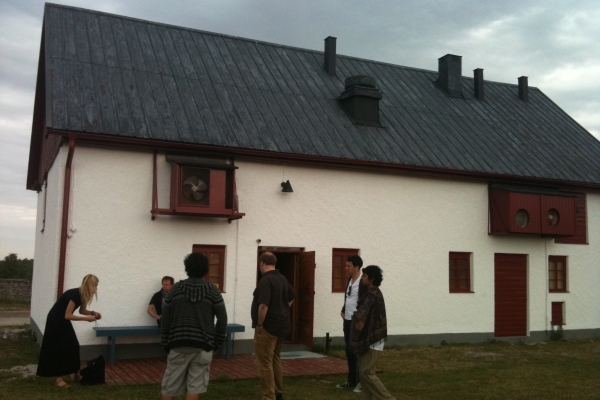 Ingmar visited Fårö while scouting locations for Through a Glass Darkly, and he deemed it good. Liv and Bibi walked here. Liv and Ingmar fell in love over there. He built it, and she came. 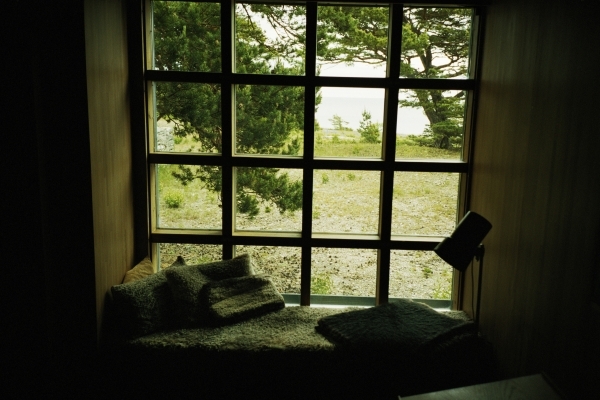 "With monumental lack of judgment, I built the house with the idea of a mutual existence on the island," he wrote of his affair with Ullmann, which began while shooting Persona on Fårö. "I forgot to ask Liv what she thought." At several stops along the way, we gather around an open hatchback and strain to watch film clips on a flat screen. But rather than bring Bergman or the landscape closer, it crams breathtaking scenery into a tiny box. Fårö is most impressive when its significance catches the visitor unaware, as when the early summer light simply lingers deep into the night, where the rocky coastline antagonizes the oddly placid sea, when a lightning storm slowly rolls landward, in old red barns that reveal themselves as arthouses that feel more like churches, where wild strawberries actually grow underfoot. 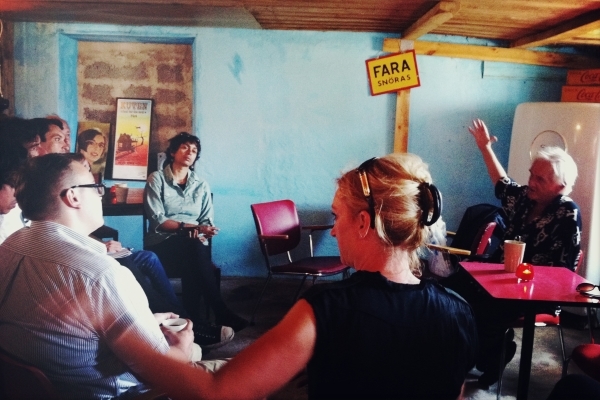 In these moments pilgrims to Fårö are not honoring or exhuming the auteur so much as fever-dreaming alongside him. Looking out the windows, especially the one with a dramatic ocean view in his second bedroom—constructed especially for his chronic insomnia—one hears whispers of the joys and anxieties that once resided here. "The wear and tear comes with the vulnerability of night," Bergman wrote. "The altered proportions, the harping on stupid or humiliating situations, regrets over thoughtless or deliberate malice." And in Changing, her gorgeous autobiographical reverie, Ullmann wrote: "On the nights when he couldn't sleep, I would lie silent beside him, afraid of what he was thinking. Perhaps that I was not a part of the island—that I disturbed the harmony he tried to create within himself in the nature and the stillness that meant so much to him." Bergman's death in 2007 fast-tracked his ascendancy from reclusive, cantankerous artiste to Swedish national hero, but even that passage has been oddly fraught. There was a protracted debate over what to do with Hammars—Bergman had willed it to be auctioned off, with proceeds going to his nine heirs—and it took a Norwegian archaeologist and inventor, Hans Gude Gudesen, to purchase the homestead and establish the Bergman Estate. 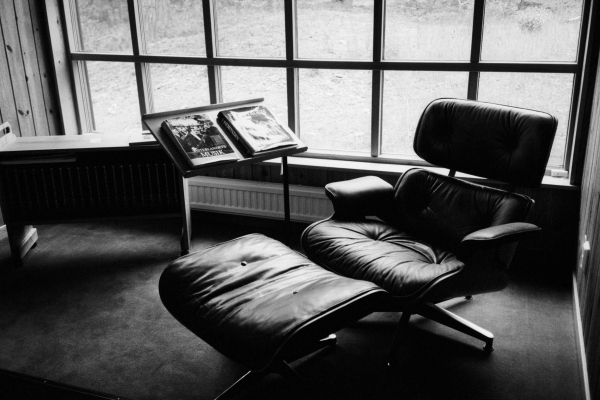 The director's furniture and personal effects had already been sold, leaving Gudesen to buy them back, item by item, for reinstallation at Hammars. 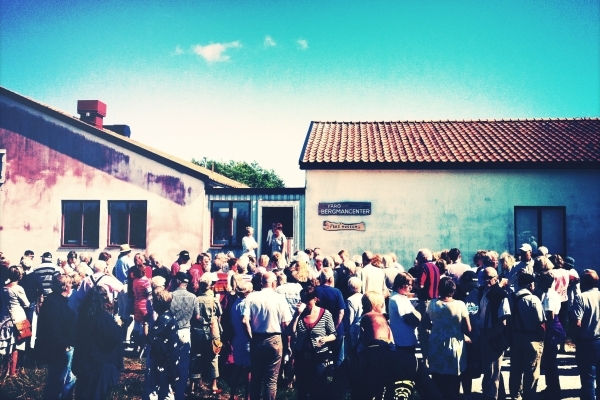 Now there are three mutually cooperative yet distinct organizations—the Ingmar Bergman Foundation, Fårö Bergman Center Foundation, and the Bergman Estate on Fårö—with a stake in Bergman's island legacy. That's a lot of bureaucracy for what festival director Jannike Åhlund proudly calls "the world's smallest film festival." Then there's the curious matter of Bergman's likeness finding its way to the 200 Kroner bill, an occurrence that would have been unfathomable during much of his lifetime. The Swedish government drove him to self-exile on tax charges in the 1970s, and he courted scandal with four divorces and countless tabloid-ready infidelities, or as he alienated radicals and punters alike by unapologetically chronicling the crocodile tragedies of the bourgeoisie. Thankfully, as with the graffiti behind the door, there are enough reminders on Fårö, and on film, that Bergman's legacy resists notions of fixed currency. Few artists faced the irreconcilable facts of life as frankly as Bergman. His films reached for transcendence even as his characters faced the ugly facts of mortality; he marveled at life while obsessing over death; he led a highly ritualized existence that followed a wildly discursive course (at least until he settled into something like placidity with his fifth and final wife, Ingrid); and he maintained an immaculately furnished house yet routinely defiled it with unruly, ink-on-varnish penmanship. In the Hammars living room, next to Ingmar's sitting chair and across from the guest couch, there's a side table marred by spontaneous jottings, likely the yield of stimulating conversations. On his bedside table, notes about his dreams fan out thickly (the word Saraband, the name of Bergman's final film, forms the outermost ring). On the floor of the bathroom, where the master tended to his notoriously temperamental bowels, he wrote, "Warning: Slippery as Hell." Next to the light switch in the TV room there's a plea for conservation, "Please turn out the lights," accompanied by devil horns—Bergman's arch, self-condemnatory signature. 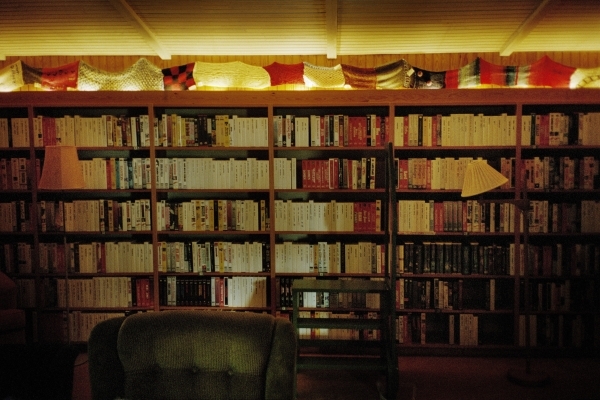 The Hammars TV room doubles as a four-wall VHS library, and proves a greater source of fascination than the exquisitely appointed library of books next door where complete sets of Strindberg sit alongside Swedish translations of Dostoyevsky and Saramago, as well as English-language editions of Raymond Carver and Philip Roth. Among the VHS tapes, Tarkovsky rubs up against Emmanuelle. It's a testament to how successfully Bergman managed his image as a refined, largely humorless auteur to find oneself genuinely shocked at the man's vastly inclusive democratic taste. One shelf includes the following: Spartacus, Play It Again, Sam, September, High Society, Singin' In the Rain, Salaam Bombay, Streets of Fire, Scarface. Elsewhere there's La Belle Noiseuse next to The Hitcher, The Lady in Red next to Little Vera, Boxing Helena between Hellzapoppin' and Rio Grande. Based on accounts of his viewing habits, it's possible he watched them all. Box by box, title by title, they fill in a more complete, more approachable portrait of Bergman. In his beautifully appointed private home, of all places, he was a man of the people. Amazingly, this was also a lending library, for which Ingmar, needless to say, kept fastidious records, and about which he'd nag friends and neighbors over tardiness. Ingmar Bergman: the world's most enervating and overqualified video store clerk. A few minutes' drive from the Hammars homestead, back over the dirt road, through the low-hanging trees and crowds of sheep, you come upon a simple white farmhouse. First used as a simple set for the tight-shot dialogues of Scenes From a Marriage, the structure was later converted into Bergman's private screening room. Every day at 3 p.m., Bergman watched a movie in the screening room. He'd sit with friends, Fårö acquaintances, his children, visiting colleagues. The tradition was revived for Bergman Week, with programmers mining the eclectic VHS collection to present mid-afternoon matinees of Withnail & I and The Razor's Edge, and why not? The Swedish author and political activist Henning Mankell shared a more recent anecdote of Bergman's affection for the mainstream. Mankell is married to Bergman's daughter, Eva, and was on the island to discuss a forthcoming biopic of the man, which he has scripted. Asked about those afternoon screenings, he recalled watching over 100 movies in that cozy old barn with his father-in-law. After Ocean's Eleven, Bergman allegedly enthused: "We have to see this again in a week." 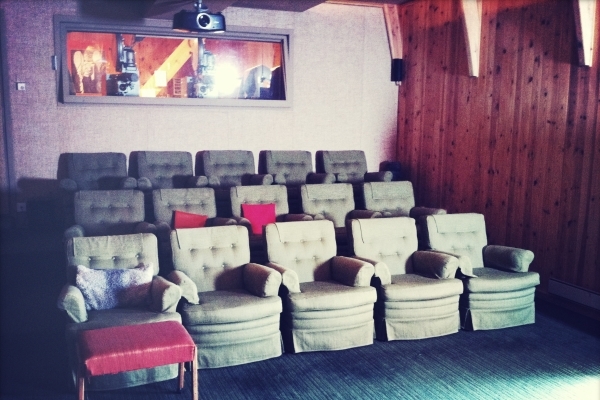 We spend two languorous days watching previews of upcoming Swedish films (ranging from very good to mediocre) in Bergman's screening room. 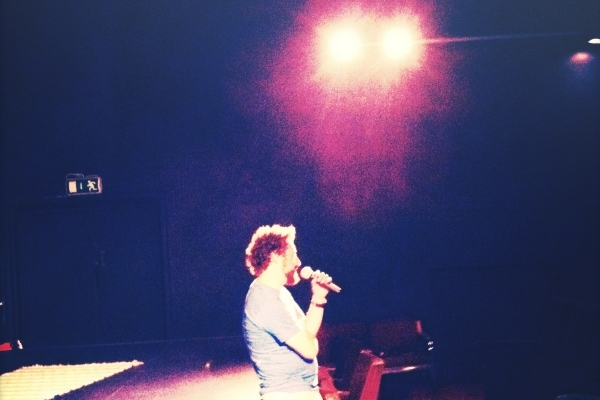 Behind the glass, vintage projectors hum like new and cast an unwavering light against the broad white wall. The sound system at the front of the room is state of the art for the early 1970s, and is mono. Bergman apparently thought stereo was a fad. (From the looks of his video library, he felt the same way about DVDs.) There are just 15 comfy green chairs on a gentle slope, and the one at front-left, with the ottoman and extra cushion, was Ingmar's. It's reverently avoided, but one can't help but sit directly beside or behind it, taking in the images through an extra set of eyes. My chair is comfortable, the room cosy, it grows dark and the first trembling picture is outlined on the white wall. It is quiet, the projector humming faintly in the well-insulated projection room. The shadows move, turning their faces towards me, urging me to pay attention to their destinies. Only on Fårö, with sheep groaning and windmills turning on the other side of the soundproof walls, downstairs from an attic where Ullmann and Josephson once played out scenes from Bergman's earlier marriages, on an island that the man once diminished as merely a set for a "grandiosely thought-out but unsuccessful production with myself and Liv Ullmann," can one begin to inhabit the contradictions, the self-mythologizing, the truth and fiction of Bergman. From this spot, the great man once watched Desperately Seeking Susan.